Syria: United Nations, World At Moment Of Truth. fter calling for an emergency meeting of the United Nations (UN) Security Council, the representatives of the United States, United Kingdom and France walked out of the meeting while Syrian UN Ambassador Bashar Jaafari addressed the council. The video below recorded Dr. Jaafari’s address with English translation. The official transcript/record of the Security Council’s over 2-hour meeting is available on the United Nations webite, and here is Dr. Jaafari’s statement to the Council. (Syrian Arab Republic) spoke in Arabic. With regard to the comments by the Permanent Representative of the United Kingdom, one of the three States that called for this meeting, asserting that Syria is broken and about to die, I would like to reassure him that Syria has never been broken. His words are tantamount to the dream of Satan to reach Paradise, mere dreams or wishful thinking. They are not worthy of a permanent member of the Security Council. As for the three permanent members together, they sounded as if they were rediscovering the wheel. They discovered that the Syrian Government was trying to recapture Aleppo. What a great discovery! As if Aleppo were a town in Djibouti or Afghanistan — or in Brazil, for that matter. I reassure them that the Syrian Government will recapture the entire city of Aleppo. If the countries’ of the permanent members of the Security Council each have one capital, we have two capitals, Damascus and Aleppo. If Shakespeare or the pioneers of the Theatre of the Absurd, Jean Genet, Adamov, Kaf ka, Kierkegaard and Georges Shehadeh, were to appear among us again, they would have written better tragedies and better plays than they did in their time. They would have never listened to the lies that are similar to King Lear’s lies. Some of them are mourning the deaths of the very persons that they killed with their own hands. They weep crocodile tears. The same three permanent members that called for this urgent meeting have aborted a presidential statement 13 times by striking the Arab-Syrian Army, in error, or through other actions. But when a French terrorist named Mohammed Merah wreaked havoc in the French city of Toulouse, he was killed by 300 hundred bullets at the hands of the security forces. They did well. However, in Syria we did not call that French terrorist a moderate or an individual belonging to a moderate opposition group. Even if Spain were to give away the Basque region — or France Corsica; or Great Britain Scotland or the United States Texas — the Syrian Government will never relinquish one inch of its territory, in accordance with international law. At the request of certain Council members, we have gathered here today in their attempt to come to the rescue of armed terrorist groups that they falsely call the moderate armed opposition. They do that whenever indications point to the possibility that these groups, under attack from the Syrian Arab Army and their allies, face defeat. They forgot the crime committed by the Nur al-Din al-Zanki rebel group when they beheaded Abdullah Issa, the Palestinian child, before everyone’s eyes. At that time, that rebel group was in control of the Handarat refugee camp with the Al-Nusra Front. We believe that the call for this urgent meeting is a message from the countries that called it to the Al-Nusra Front and the other terrorist groups, namely, that their support and political cover will continue unhindered,and that the weapon of terrorism that puts pressure on the Syrian Government and its allies will continue to be effective. Based on our constitutional responsibility to protect our citizens from the acts of armed terrorist groups, which have inflicted suffering on our people in Aleppo, the military operation by the Syrian Army and its allies that began two days ago includes efforts to safeguard the lives of our citizens. They were advised to stay away from positions of the armed terrorist groups and to take all measures to facilitate their evacuation and secure the basic needs of a dignified life. Those measures included even those who were deceived into taking up arms against the State. On the other hand, the terrorist groups continue to prevent civilians from leaving Aleppo, with a view to using them as human shields. We know that Aleppo has more than 2 million inhabitants, with 750,000 persons in east Aleppo. At the same time, my country condemns the use of internally prohibited weapons. We stress that all military operations conducted by the Syrian army and its allies on Syrian territory abide by the Charter of the United Nations and the Council’s resolutions on combating terrorism. We denounce the fabricated accusations levelled by certain members of the Council, in addition to senior United Nations officials, against the Syrian army and its allies through alleging that they use internationally prohibited weapons or that they deliberately target civilians. It is indeed odd that the Secretary-General and his senior aides would level such fabricated and untrue accusations, which rely on false accounts from individuals who are terrorists. They also ignore clear evidence pointing to the repeated use by armed terrorist groups, including the Islamic State in Iraq and the Levant, of chemical weapons against military personnel and civilians and to the seizure of a chlorine gas factory situated 40 miles from Aleppo. I have received information that terrorists disguised as Syrian military personnel are plotting to use dangerous phosphorous-based materials against Syrian civilians. The goal is that Syrian military personnel, as has happened in the past, will be accused of committing such crimes. They are trying to influence the Council and public opinion by distributing photographs. That dangerous chemical material is located in six barrels in a warehouse situated 20 kilometres from Aleppo. On 6 September, that warehouse housing yellow phosphorous material was visited by two United States experts. They then left for Turkey. I am relaying to the Council the information that has been given to me, as with hundreds of other items of information in connection with terrorist activities in my country. Those who commit war crimes in Syria are well-known. They are the ones who killed 200 civilians in the town of Manbij, bombed a school for the deaf in Raqqa and targeted the Syrian army in Deir ez-Zor. They are backing Da’esh and providing all kinds of support for the hundreds of thousands of terrorists who have been brought to Syria from more than 100 countries — according to the reports of the Secretary-General to the Council over numerous years. More than anyone, we want an end to the bloodshed in Syria and to the prolonged suffering of the Syrian people. Accordingly, we welcomed the United States-Russia agreement on fighting Da’esh and the Al-Nusra Front and their allies — differentiating between the Al-Nusra Front and what is known as the “moderate” armed opposition groups — and ceasing hostilities for one week. While we were committed to the agreement, those who employ terrorist groups in Syria told them to reject the agreement. Immediately thereafter, more than 20 armed terrorist groups rejected it, including the Nur al-Din al-Zanki and Al-Nusra groups, as well as the Ahrar Al-Sham. That rejection was accompanied by targeting the Syrian army on the Castello Road and at various other positions. They violated the agreement 300 times before it expired, leading to the martyrdom of 200 civilians and 157 military personnel, as well as to hundreds of seriously injured victims. In a deliberate attempt to sabotage the agreement, the military aircraft of what is known as the international coalition led by the United States bombarded the positions of the Syrian Arab Armed Forces fighting Da’esh in Deir ez-Zor. That is not the first time that these groups have committed such crimes. It is truly deplorable that certain members of the Council, in addition to senior United Nations officials, including the Secretary-General, continue to call upon the Syrian Government and its allies to adhere to the cessation of hostilities — despite all kinds of evidence on the ground proving that since the beginning, those countries have been backing armed terrorist groups, which have never wanted and will never want this endeavour to succeed. That was made abundantly clear by the violations of the agreement by the armed terrorist groups and the so-called international coalition, which were directly or indirectly involved. Worse still is that the United States shirked the responsibility of its main obligation, namely, to differentiate between the Al-Nusra Front and those groups that it insists on classifying as moderate armed opposition groups. That has led to undermining all the progress achieved over five years of the war imposed upon our country, clearly showing the lack of a political will on the part of those who sponsor terrorism to stop the bloodshed — as if the objective were to neutralize the Syrian forces instead of finding a solution. Is it not now time for those on the Council who continue to deceive themselves and public opinion to desist from protecting and supporting what they refer to as the moderate armed opposition? All such armed groups are only the different sides of the same coin — terrorism — which has had a boomerang effect, with attacks, terrorist activities and extremist ideologies in those members’ capitals, owing to their flawed policies and practices. Wouldany representative in this Chamber dare to justify the support given by Council members for four years in the form of hundreds of millions of dollars and thousands of tons of weaponry to the Nur al-Din al-Zanki terrorist group, which beheaded that Palestinian child — an event that the Security Council is lamenting today? That faction revealed the falsehood of Council members’ political media campaigns that claim that the faction is a moderate opposition when it declared that it belongs to he Al-Nusra Front. It is incumbent on certain members of the Council to stop their exploitation of the Syrian people’s suffering, which they created themselves through their military, political and financial support. The politicization of the Syrian crisis will lead only to the prolongation of the crisis and the worsening of the plight of Syrian people, in the service of well-vested narrow interests, far removed from humanitarian goals. Our commitment to fighting terrorism goes hand in hand with our commitment to reaching a political solution through intra-Syrian talks to be decided by Syrians themselves, who should decide the future of their country without any foreign intervention.With regard to solutions imposed from abroad, they are completely and categorically rejected by the Syrian Government. In that regard, we underscore that any political solution can be successful only if it provides the necessary conditions through intensified efforts to fight terrorism and by advancing reconciliation processes, which have been successful in many of other regions. The international community must therefore understand that the real war against terrorism has not yet begun. The advent of the Syrian victory is imminent. This victory will further the implementation of Security Council resolutions and the maintenance of international peace and security. I have information with regard to what has happened in Deir ez-Zour. The following is the UN description of what Dr. Jaafari said in the meeting, and an unofficial, for information purposes only summation. BASHAR JA’AFARI (Syria) said three of the Council’s members had behaved as though they were reinventing the wheel, while with lies being told, crocodile tears shed and 13 violations of a Council presidential statement committed through the bombing of Syrian Armed Forces and other targets. Aleppo was not just a town, but one of Syria’s capital cities and just as the United States would never give up Texas, his Government would never relinquish an inch of its territory. With a view to protecting citizens from armed terrorist groups, the Syrian Armed Forces and its allies had responded, including taking measures to help civilians leave Aleppo, which had a population of 2 million. Condemning the use of internationally prohibited weapons, he denounced allegations made by certain Council members about his Government’s use of such weapons and the deliberate targeting of civilians. The armed groups’ actions, including their seizure of a chlorine gas factory 40 kilometres from Aleppo, had meanwhile been ignored. He referred to a report that terrorist groups were now planning to use phosphorous gas and blame its use on the Syrian Armed Forces, he underlined that his country had continuously reported such illegal acts to the Council. Welcoming the recent United States-Russian Federation agreement, he said his Government supported the ceasefire. Yet, those States that were “employing” terrorist groups in Syria had seen that more than 20 armed groups had rejected the agreement, including Nusrah Front, thereby sabotaging the ceasefire. The international coalition had bombarded the Syrian Armed Forces, who were positioned to fight Da’esh. While some Council members and senior officials had continued to call on the Government to support progress, he said the reality on the ground clearly demonstrated that it was the terrorist groups and their supporters that were hampering such efforts. As a result, those efforts had been undermined, showing the absence of the required political will to find a solution of those who were sponsoring the bloodbath. It was time for the Council to stop the moderate armed groups, whose actions amounted to terrorism. He asked if any member in the Chamber would have the courage to stop Nur al-Din al-Zanki, an armed group that had declared allegiance to Nusrah Front. The Syrian people’s suffering must end, and the politicization of the crisis would only prolong the crisis. Mr. DE MISTURA, responding to one question that he called “clearly precise” and “clearly erased” by the Russian Federation’s delegate, said he was guided by resolution 2254 (2016). He had in the past witnessed refusals for active direct talks from the agency that did set preconditions. He said he did ask the Ambassador who was also the representative of the Government in Geneva if they wanted to have at that time direct talks with current delegations. “You, Mr. Ambassador did indicate that you did not want to discuss with terrorists or their representatives.” The political process could not be hostage to the security environment. During “that special day” on 9 September of long, detailed discussions with the Russian Federation and United States, he said he made a statement that said that the United Nations hoped that its implementation would facilitate renewed efforts to reach a Syrian-owned and -led arrangement. Regarding when he would send the invitation for renewed talks, he said it would be for direct talks. In regard to the over five (5) years of wars, killing and destruction which has devastated Syria, and while discovering, specifying and acknowledging those guilty of major war crimes – the United Nations and the world has reached an absolute, profound and decisive moment of truth. Summary of statements from United Nations Security Council emergency meeting held May 2, 2014. The situation in parts of eastern and southern Ukraine had seen “further severe deterioration”, with fresh events — including the downing of two helicopters — threatening to destabilize the country and the region, the Under-Secretary General for Political Affairs told the Security Council today. Jeffrey Feltman, briefing the Council three days after his most recent update, said that in more than a dozen cities in Donetsk Oblast and Luhansk, armed groups had taken over a growing number of buildings. The situation in the eastern city of Slovyansk, occupied by armed insurgents since 12 April, was of most immediate concern. According to Ukraine’s Ministry of Defence, he said, two helicopters had been shot down overnight during operations by the authorities, with at least one pilot killed. Other casualties had been reported on both sides. In Donetsk Oblast and in the city itself, self-declared separatists had seized the regional prosecutor’s office on 1 May. Other reports cited clashes during a pro-unity protest in the southern city of Odessa. He understood that the President of the Russian Federation had dispatched a special envoy to help free the seven military monitors from the Organization for Security and Co-operation in Europe (OSCE) and accompanying Ukrainian staff being held by gunmen in Slovyansk. A diplomatic solution was the only way out of the crisis and all sides must redouble efforts to revive the spirit of compromise shown during the 17 April Geneva talks. The representative of the Russian Federation said he had called today’s meeting because of the punitive operations being conducted in south-east Ukraine by the Kyiv Government, which was using military helicopters, striking at protestors and entrenching fighters. Unless its criminal misadventures were stopped, dire consequences would be unavoidable. Ukraine’s measures against its own people showed it had no desire to comply with the Geneva Statement. While the Russian Federation was making efforts to de-escalate the crisis, Ukraine had started full-scale use of military force, annihilating any hope of agreement, he said. Urging an end to outside interference in Ukraine’s affairs, he said that by supporting those who had perpetrated a coup d’état in Kyiv, the United States and the European Union were destroying the path to a peaceful solution. The representative of Ukraine said his country was committed to implementing the Geneva Statement, noting that free and fair presidential elections on 25 May were a top priority. The Russian Federation had made no effort to implement the Geneva accords. Instead, it supported illegal militants in eastern Ukraine and had created an atmosphere of violence. He said the counter-terrorist operation, renewed in Slovyansk, sought to isolate militants from civilians in the city. Illegal militants were using heavy weapons against Ukrainian Special Forces, having shot down two helicopters and used the local population as shields. Earlier today, Russian saboteurs had attempted to cross the border. He urged the Russian Federation to stop supporting illegal militants. Russian claims of English-speaking foreigner involvement were “cynical” and “false”, as only Russian saboteurs and mercenaries were involved. Also speaking in today’s debate were the representatives of France, United Kingdom, United States, Luxembourg, Argentina, Australia, China, Chad, Lithuania, Nigeria, Jordan, Chile, Rwanda and the Republic of Korea. The meeting began at 12:03 p.m. and ended at 1:50 p.m.
Meeting this afternoon to consider the situation in Ukraine, members of the Security Council had before them a letter from the Permanent Representative of the Russian Federation (document S/2014/264) addressed to the Council President. Dated 13 April, it requests a meeting to consider “alarming” developments in Ukraine. JEFFREY FELTMAN, Under-Secretary-General for Political Affairs, said that since the Council’s last meeting on 29 April, there had been a further, severe deterioration of the situation in parts of eastern and southern Ukraine. Recent developments in those areas threatened a serious further destabilization of the country and the region, as well as Ukraine’s unity. In more than a dozen cities in Donetsk Oblast and Luhansk, an increasing number of buildings were being taken over by armed groups, he said, emphasizing that the situation in the eastern city of Slovyansk, occupied by armed insurgents since 12 April, was of most immediate concern. According to Ukraine’s Ministry of Defence, he continued, two helicopters had been shot down overnight during ongoing operations by the authorities, with at least one pilot killed. A number of other casualties had been reported on both sides, but the total could not be verified. The acting Interior Minister had stated that a number of roadblocks had been removed from around the city, but it was understood from the media that tense standoffs continued, at least in parts of the city and around it. At the same time, he continued, the seven military monitors from the Organization for Security and Co-operation in Europe (OSCE) accompanying Ukrainian military staff and held by gunmen in Slovyansk remained in detention amid repeated calls for their release. To that end, it was understood that the President of the Russian Federation had dispatched a special envoy to help free the hostages, he said, reiterating the Secretary-General’s call to those responsible to release them immediately, unconditionally and unharmed. The crisis had also escalated in the Donetsk Oblast region and in Donetsk itself, where self-declared separatists had seized the regional prosecutor’s office on 1 May, he said. Other reports stated that the Ukrainian authorities had banned Russian passenger planes from flying to Donetsk and Kharkiv, while still others reported clashes during a pro-unity demonstration in the southern city of Odessa. Reiterating elements of the Secretary-General’s statement today, in which he expressed his grave concern over the situation, he said the escalating violence and reported further loss of life in Slovyansk were a stark reminder of how dangerous the situation had become. A diplomatic solution was the only way out of the crisis and all sides must redouble efforts to revive the spirit of compromise demonstrated during the 17 April Geneva talks, Mr. Feltman stressed, adding that during his meetings in Kyiv and Moscow next week, he would continue to reiterate a message of restraint and an immediate return to dialogue. VITALY CHURKIN (Russian Federation) said he had called for today’s meeting because of the resumed punitive operations being conducted in south-east Ukraine by the Kyiv Government, which was using military helicopters, striking at protestors and entrenching fighters, leading to casualties. Unless the criminal misadventures of the Kyiv clique were stopped, dire consequences would be unavoidable, he warned, adding that the Ukrainian Government’s criminal measures against its own people showed that it had no desire to comply with the 17 April Joint Geneva Statement. It was now clear that the Kyiv Government’s many declarations in favour of dialogue were nothing less than hypocrisy. At a time when the Russian Federation was making efforts to de-escalate the crisis, Ukraine had started full-scale use of military force, annihilating any hope of agreement, he continued. On the radio waves, one could hear English-speaking foreigners among those carrying out assaults in Slovyansk. Calling for an end to outside interference in Ukraine’s affairs, he urged the United States to end its double standards, adding that by supporting those who had perpetrated a coup d’état in Kyiv, that country and the European Union were in effect destroying the path to a peaceful solution. He called upon signatories to the Geneva Statement not to commit a fatal error, and on the West to stop its destructive policy concerning Ukraine and halt its operations there. An authentic political dialogue was needed, he emphasized. GÉRARD ARAUD (France) said that the armed groups involved in progressively taking over cities in eastern Ukraine were being manipulated by Russian forces and refusing to implement the Geneva Statement. Ukraine, which had shown great restraint all along, had now decided to use its army and police against armed groups creating a climate of insecurity, he said, emphasizing that the latter were not spontaneous local demonstrators, who would be incapable of shooting down a helicopter with surface-to-air missiles. The Russian Federation had invoked the 21 February agreement, which it had not endorsed, while waiving the Geneva Agreement, to which it had consented but had made no effort to implement. He described as “comical” the Russian Federation’s accusation blaming the European Union for the violence, emphasizing that the Russian Federation had opened a Pandora’s box and unleashed the demon of nationalism. “We have a pyromaniac situation,” he said, stressing that the Russian Federation must disarm the groups that it had armed, free the OSCE monitors and negotiate with Ukraine. MARK LYALL GRANT (United Kingdom) said the Russian Federation’s description of events in Ukraine as a punitive military operation against activists was a gross distortion of facts. Ukraine had a duty to uphold the rule of law and to protect its territory, and should carry it out in a proportionate, measured way, he emphasized. Its actions in and around Slovyansk were meant to relieve that city from armed groups sponsored by the Russian Federation who were terrorizing the population. No Council member would allow its towns to be overrun by armed militants, he pointed out, stressing that the Russian Federation’s claims about “peaceful activists” were not credible given the use of sophisticated weapons against Ukrainian forces, including by professionals funded and equipped by the Russian Federation. He urged the Russian Federation to refrain from inflammatory propaganda, throw its full weight behind the 17 April accord and rein in the armed groups that it supported. SAMANTHA POWER (United States) described as false the Russian Federation’s claims that Ukraine was carrying out a large-scale attack on unarmed civilians, emphasizing that the latter’s actions were intended to contain Russian paramilitaries and protect Ukrainian citizens. Russian-directed agents and paramilitaries were the source of the violence, she stressed. Another falsehood was that the Russian Federation was concerned about instability in the east, while it was itself behind the instability. With Russian troops massing along its border, Ukraine had shown “remarkable, almost unimaginable” restraint, implementing international agreements, refraining from military responses to aggression and committing to direct dialogue with Moscow. Ukraine’s efforts to reclaim its cities were the same as any country would have made in the face of threats, she said, adding that 32 buildings in 17 eastern Ukraine towns were occupied by pro-Russian separatists. The Council had heard the Russian Federation build its case for outright intervention, but there was no evidence that Ukraine had threatened the Russian Federation in any way, she said. Ukraine’s steps to restore order were justified, but the fact that the Russian Federation had chosen to call an emergency Council meeting was another sign that it was trying to replicate the Crimea charade, she said, urging the latter to pull back its troops, stop its campaign of instability, and work to release international observers and journalists. SYLVIE LUCAS (Luxembourg) expressed concern over the actions of pro-Russian, militant separatists intent on destabilizing Ukraine and preventing it from holding elections on 25 May. Confronted with violations against its sovereignty, Ukrainian authorities had shown restraint. Until Thursday, their response to the illegal seizure of public offices and the growing number of attacks and violence by armed groups against peaceful protests had been moderate. The presence of impartial United Nations and OSCE monitors across Ukraine was vital to establish the facts and put an end to bellicose propaganda. She condemned the taking of OSCE monitors as hostages and called on the pro-separatists to free them as soon as possible. MARÍA CRISTINA PERCEVAL (Argentina) said that the spirit of compromise reached in Geneva must be restored. Hate speech and incitement to violence had only lead to rising tensions, undermining the international community’s efforts. All actors must work towards constructive diplomacy so the Geneva Statement could be implemented. The Council’s calls for a de-escalation of tensions had not been consistent. “It is not too late. It is still possible to avoid the worst,” she said, calling on the Council to assume its responsibility to maintain international peace and security. GARY QUINLAN (Australia) said the planned, coordinated destabilization of Ukraine could not happen without external support, as seen with the downing of two helicopters. Armed groups had consolidated control in Donetsk and Kharkiv and had orchestrated violence which had spread to Odessa. The actions of pro-Russian groups were not legitimate protests, but rather calculated, highly provocative actions intended to undermine Ukrainian authority. They made a mockery of what the Russian Federation had committed to in the Geneva agreement. The Ukraine Government was implementing its Geneva obligations and was committed to holding public debate on constitutional change. In response to extreme provocation, Ukrainian authorities had a responsibility to restore public order. It must take measures to ensure security and protect its citizens in its territory. “We are at a very dangerous, manipulated moment,” he said, urging the Russian Federation to implement the Geneva Statement and demonstrate it had no further territorial ambitions in Ukraine. LIU JIEYI (China), stressing that the situation in parts of eastern and southern Ukraine was of deep concern, urged parties to safeguard ethnic groups, keep calm, exercise restraint and avoid a further deterioration of conditions. A political solution was the only way out of the crisis. Ukraine must consider the full situation and accommodate the aspirations of various regions and ethnic groups in order to achieve a balance. Noting his Government’s efforts towards promoting peace and facilitating negotiations, he expressed hope that the parties would pursue dialogue, implement the agreements reached, start a political settlement process and realize the stability of Ukraine. China would continue to support good offices with the aim of promoting a political settlement. MAHAMAT ZENE CHERIF (Chad) said that, despite repeated calls for restraint and calm, the situation continued to deteriorate, politically and in terms of security. There was a risk of a war that carried incalculable consequences. While a number of efforts had been made to open the way for dialogue, the results had been far from expectations. Reiterating the call for an immediate halt to combat, he urged non-violence by the authorities and separatists alike, as well as for the release of the seven OSCE observers. The solution must be political, sought in full respect for Ukraine’s territorial integrity and sovereignty. Further, countries with influence should use all means possible to help establish direct dialogue. He also encouraged the Secretary-General to step up efforts to bring about a rapprochement. RAIMONDA MURMOKAITĖ (Lithuania) said Ukraine could not be blamed for taking steps against those trying to carve it up and parcel it out. It had a right to protect its sovereignty. The Russian Federation so far had not condemned the Syrian regime’s missile and bomb attacks this week in Aleppo or similar previous acts. Today, two Ukrainian helicopters were downed by mobile air defence systems. Militants, not protestors, had opened fire. Had the separatists carried out the Geneva Statement or had the Russian Federation called on the separatists to enter into peace talks with the Ukrainian Government, such attacks, and today’s deadly provocations in Odessa, would not be happening. The Russian Federation continued to blame Ukraine, the only side taking steps to implement the Geneva Statement. She rejected all Russian attempts to validate its intentions or send Russian “peacekeeping” forces to Ukraine. She noted that OSCE observers must be able to carry out their tasks. U. JOY OGWU (Nigeria) expressed concern over the downing of a military helicopter and the seizure of Slovyansk. All sides must refrain from violence, intimidation and provocative action, and all armed groups must vacate buildings they had seized. Territorial integrity must be respected. The alternative would be “falling dominoes” in Eastern Europe and every region of the world. “The scenario is simply mortifying. It is our collective responsibility to prevent the domino theory from being replayed in our times,” she said. MAHMOUD DAIFALLAH MAHMOUD HMOUD (Jordan), expressing deep concern over events in Ukraine, called on all hostages held by rebels in Slovyansk to be released, including OSCE monitors. An unfolding mutiny in eastern Ukraine, as rebels seized public and Government buildings and threatened civilians, had contravened both international law and the Geneva agreement. Ukraine had a right to take appropriate measures to retain its unity and sovereignty, as well as uphold the constitutional and legal order. It must work towards a peaceful resolution of the crisis, within international criteria, sparing no effort to engage in dialogue with all stakeholders. He urged implementing the Geneva Statement and exerting pressure on the rebels to end the crisis. Further, all stakeholders should refrain from racist or hate speech, he said, underscoring the importance of respecting Ukrainians’ aspirations, notably by ensuring that elections were held in May. CRISTIÁN BARROS MELET (Chile), emphasizing that the crisis was quickly entering an unpredictable phase, expressed concern over events in Slovyansk and urged the Council to again call for all means to pursue a peaceful settlement through dialogue. Parties must refrain from acting unilaterally and must support international mediation efforts, he said, condemning the kidnapping of OSCE observers and reiterating the call for their release. It was vital to work in a spirit of compromise, he said, urging the disarmament of armed groups and returning illegally occupied buildings. He reiterated the need to respect Ukraine’s sovereignty and territorial integrity, supporting both the Secretary-General’s efforts and visit to the Russian Federation by the Under-Secretary-General. EUGÈNE-RICHARD GASANA (Rwanda) said the situation in Ukraine had escalated. Pro-separatist forces had continued to occupy buildings and they had shot down helicopters. OSCE observers had been detained. He condemned the armed methods used by militants and called for a proportionate response by Ukraine’s armed forces. He called on all Council members to give the Under-Secretary-General the meaningful backing necessary, and noted that only a genuine dialogue by the Ukrainian parties and a strong commitment by those with influence could resolve the crisis. Otherwise, the conflict would become regional or worse, and the Council would continue holding emergency meetings on that matter. “We need here to scale down the rhetoric,” he said. OH JOON (Republic of Korea) expressed concern over continuing tensions in Ukraine, particularly over the violence in Slovyansk, which had included an attack on a military helicopter. Dialogue among all parties was the only way to achieve a peaceful solution, and he called on all parties to the Geneva Statement to implement it. With elections scheduled for May, it was all the more important to ensure an environment conducive to free and fair elections and without any outside interference. He expressed hope for a transparent, Ukraine-led process. OLEKSANDR PAVLICHENKO (Ukraine) said his country remained committed to implementing the 17 April Geneva Statement, adding that free and fair presidential elections on 25 May were a top priority. The Russian Federation had made no effort to de-escalate the situation and implement the Geneva Statement, and had instead supported illegal militants in eastern Ukraine and created an atmosphere of violence. Security for all Ukrainians was another top priority, and the purpose of the counter-terrorist operation renewed in Slovyansk was to isolate militants from civilians in the city, he said, adding that its commander required the militants to free all hostages and captured administration buildings, and to stop the violence. Ukrainian authorities were ready to grant amnesty to all militant group members who had not committed serious crimes, he said. Describing the Russian Federation’s claims that English-speaking foreigners were involved in the crisis as “cynical” and “false”, he said only Russian saboteurs and mercenaries were present. He went on to note that the Russian Federation’s embassy in Kyiv had not been notified about the arrival of Special Presidential Envoy Vladimir Lukin. Nonetheless, Ukraine was prepared to discuss with him practical contributions to resolving problems. Due to the situation in Slovyansk, the National Security and Defence Council had launched a counter-terrorist operation, the active phase of which had been renewed in that city and elsewhere, he said. The operation had taken control of nine terrorist checkpoints in Slovyansk. Illegal militants were using heavy weapons against Ukrainian special forces, and had shot down two helicopters with man-portable air defence systems, killing two people and wounding seven others, he said, adding that they had not hesitated to use the local people as shields. Russian saboteurs had tried to break through the border today but they had been stopped by Ukrainian guards, he said, calling upon the Russian Federation to stop supporting illegal militants and other actions that undermined his country’s sovereignty and territorial integrity, including the use of military threat as a form of pressure. The representative of the Russian Federation took the floor a second time to refute the claim by his counterpart from France that his country had not endorsed the 21 February agreement. On the contrary, it looked forward to implementing the accord and had helped to conclude the 17 April Geneva Statement, which, while simple, would pave the way out of the crisis. People in eastern Ukraine merely wanted their rights guaranteed, he said. Since the signing of the Geneva Statement, no one had taken up weapons, but there had never been a reasonable response from Kyiv. The Council had heard that on 25 May Ukrainian officials would unveil some sort of decentralization process, he said, noting that his Western colleagues seemed to know about all the operations currently being carried out by the Kyiv Government. He asked why the United States did not want OSCE efforts for dialogue, pointing out that the Russian Federation had suggested different formats for dialogue on several occasions during the course of the crisis, and suggested convening a constitutional assembly, while they had said they were not ready to organize such forums. He also denied claims that his country was refusing to implement the Geneva Statement. The representative of the United States also took the floor again, saying that for the Russian Federation to blame Ukraine for defending its own actions on Ukrainian territory was like the story of the boy who told his mother that a fight between him and another boy had started when the other had hit him back. “We must be clear about cause and effect here,” she emphasized. It was not true that the United States had never called on the Maidan protestors to leave buildings and renounce violence, and that it was exercising double standards. On 10 January, it had condemned the actions of rioters outside Government buildings, and later that month it had condemned targeted attacks against journalists and called on all protestors to refrain from violence and destruction of property. Those were among the many public statements by the United States Government aimed at ending the fighting. The future was more important, she said, asking whether the Russian Federation would publicly urge the separatists to end their siege of public buildings. It had repeatedly taken aim at the so-called illegitimate Government in Kyiv while refusing to acknowledge its failure to embrace the 21 February agreement after it had been negotiated. Furthermore, the Russian Federation would not come out in support of the 25 May elections, she said, stressing that doing so would be best way to ensure that rights were more autonomous in eastern Ukraine. The representative of the Russian Federation, responding to a question by the Council President about a possible presidential statement from today’s meeting, first addressed comments made by his United States counterpart. He said that what had been heard from the United States, and the way that message had been delivered, showed everyone that it approved of the forceful change of power in Ukraine, which, in the end, did not serve Ukrainian interests. As for a presidential statement, he said it would be good to end today’s meeting with a statement calling for a swift end to violence and serious implementation of the Geneva Statement. OH JOON (Republic of Korea), Council President, said he would ask the coordinators to take up the matter. OH JOON adjourned the meeting. Former President of South Africa Thabo Mbeki is probably most well-known around the world for his speech “I am an African”. After looking around for more information on the country of Tunisia’s effort to identify that portion of its national debt which is “odious”, debt run up by previous regimes which did not benefit the citizens of Tunisia, and is therefore not the responsibility of the people of Tunisia to repay, I came across Thabo Mbeki. An economist from the Tunisia region named Dr. Leonce Ndikumana at the University of Massachusetts has written a book about odious debt in nations on the continent of Africa. Google his name and you will find yourself interested in what the man has to say. Mr. Ndikumana’s research and book pretty much confirms the information provided by John Perkins in his book “Confessions of an Economic Hitman“. I have not researched Mr. Ndikumana or read his book. Having read Mr. Perkins book leads me to believe that a significant portion of African nations‘ debt, after a debt audit is conducted, will become identified as odious. Perkins was an economic hit-man who experienced an epiphany of sorts after the events of September 11, 2001 when, for the benefit of his grandchildren, he wrote “Confessions”. Perkins pointed out the “game plan” of powerful western banks and multinational corporations in regard to dealings with nations and leaders who controlled valuable, and coveted, natural resources. Mr. Perkins would meet with presidents of nations with these natural resources, get them to sign on for World Bank and International Monetary Fund (IMF) loans in the billions of dollars, and the monies would be used for infrastructure projects like highways, electrical power projects such as dams, transmission lines, water transmission, etc. This infrastructure spending would benefit wealthy people in the country and western infrastructure companies but did not benefit a majority of the common people in these countries. Importantly Perkins would remind the leader(s) who resisted loans that their predecessor(s) or neighboring country’s leader had refused the proposal of loans and “playing the game”, and that they had died in a plane crash or been removed through a coup. If the leader “played the game” they would become extremely wealthy. Most took the loans (after considering certain negative consequences) and invariably the nation was unable to repay the loan(s). At this point Mr. Perkins, or a fellow economic hit-man, would ask for what Perkins described as the “pound of flesh”. He would tell the leader that, because the nation couldn’t repay the loan(s), he could arrange for low prices on oil, platinum, or whatever valuable resource the nation had, along with “austerity” measures including reduced expenditures on education, health care, or any of a number of spending programs designed to help the common people of the country. Those leaders who refused to play the game at that point were then the victims of destabilization efforts to bring about a change of government, to bring in leaders who were more “malleable”. If those efforts failed the military option kicked in and war would carry out the removal of unwilling leaders. This “game” has been on-going for decades around the Earth, most recently in the extreme version, visible wars in Afghanistan, Iraq, Libya and Syria. A number of nations have been hurt economically through former leaders’ executing government debt through loans from international financial institutions, many times leading to incurring of odious debt, and illegal capital flight from those nations. The United States successfully repudiated the odious debt of Saddam Hussein after the second war in Iraq. Equador, Iceland, Tunisia, Norway and others have gone to certain lengths to identify odious debt through the forming of auditing committees to comb through the loan documents through their histories. This signals a significant shift in consciousness on individual nations’ debt problems, in the news these days as countries around the world, most notably Europe where large demonstrations of people protest against strict cost-cutting measures, contend with so-called austerity programs, or in the United States, sequester. Time will show how the effort to find odious debt will play out in the nations of the world where overwhelming debt has led to worsening of the conditions of society. Africa is not exempt from corruption, austerity and capital flight. 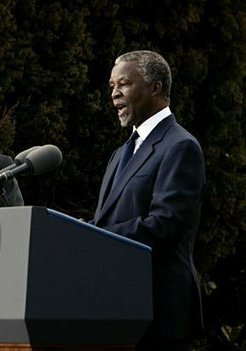 Thabo Mbeki succeeded Nelson Mandela as president of South Africa, the second post-apartheid president in that African nation, serving from 1999-2008. Mr. Mbeki has said that the 21st century is the century of Africa, calling for an African “renaissance”. His message has gained respect all over the continent to the point that a billion people in Africa hold a new and hopeful perspective. The African Union is an agreement among the nations of the continent to work together to create the conditions for mutual assistance to build a better Africa. After centuries of colonialism, imperialism, apartheid and slavery Thabo Mbeki has spent his time after retirement from politics to speak for the possibilities and potentials of the people of Africa taking their collective destiny in their hands, without any more interference from people outside the continent. Even now he points out that there is still involvement in the affairs of African nations by powers outside the continent. He speaks about the warning that the African Union gave to the United Nations Security Council before the warring in Libya which remove the ruler Qaddafi. The Union warned that Libya will suffer negative consequences if the UN moved on military measures, unfortunately proven correct as Libya is now a failed, anarchic state – their people suffering deprivations and violence many times worse than when Qaddafi ruled. Thabo Mbeki mentions that illicit, illegal capital outflows from Africa have been, and are, roughly 50 billion dollars per year. After centuries of slavery, colonialism, imperialism, theft, war and corruption, we can only pray that the efforts of African leaders like Thabo Mbeki leads to the fruits of the continent being distributed and enjoyed by as many of the people as possible. Mr. Mbeki suggests to his audiences that instead of waiting for someone else to take the reins and create the differences in the continent and the African nations, that each man and woman must ask themselves what they can do to make life better in their country and Africa . Thabo Mbeki has passed the age of seventy and has lived an extraordinary life. As a child his parents were politically active against the centuries old apartheid regime in South Africa. In that police state his parents realized the possibility of one or both going to prison for their speaking for change. His mother and father sent Thabo Mbeki and his siblings to live with relatives in case that situation came about. As a child he was present among men and women who spoke about giving up their lives in fighting to end apartheid and gain freedom. Mr. Mbeki now calls on the young people of South Africa, and all countries in Africa, to gain a thorough understanding of what the realities are on the entire continent. He calls on all journalists to understand the particular responsibility they have – to tell the people the truth behind the headlines – so that the people can become fully informed and make good choices and decisions. So that all men and women become agents of change. International Criminal Court: Investigate Syria Chemical Attacks NOW. The world’s people must know who is responsible for the August 21, 2013 chemical attacks which killed hundreds in Syria. Any credible person, group or nation that claims to have any shred of evidence should bring that evidence forward for examination and investigation at the International Criminal Court as soon as humanly possible. Citizens in the United States, I am urging you to contact your Congressmen, Senators, and the White House-and demand that the investigation into who was behind the attacks must begin now. Citizens in every country on Earth, please consider this issue deeply and then do the same. Why? Because it is absolutely essential that humanity knows who committed this most barbaric act of the 21st century. Any serious person who has followed events surrounding Syria since August 21, 2013 knows that there are many reports and articles which have suggested the so-called Syrian rebels were behind the massacre. These same reports and articles point out that the rebels committed the chemical massacre to bring about United States, Britain, France and other countries’ military intervention. Any serious person who has followed events knows that there are many reports and articles which suggest that the Bashar al-Assad regime is responsible for the massacre. These same articles point out that military strikes on Syria have to be undertaken to prevent Assad from using chemical weapons again, and that he has “crossed the line”, committing the most barbaric atrocity. Millions of articles have been written since August 21, 2013 on the situation in Syria, describing the horrific conditions which the men, women and children of that war-torn country have been subject to for over two years. In the media thousands of politicians, military experts, geopolitical analysts, journalists, spiritual leaders and more have given the listeners, readers, and viewers their thoughts on the sad events occurring in Syria. Never before in the history of the world has there been so much participation in discussions by men and women around the Earth as has occurred in the last month about Syria. I am convinced history books will tell future students about the year 2013, where the world’s people became aware of the realities on Earth and collectively chose to say “no more” to war. The content of history books read by future generations of humanity shall become determined by identifying those persons and parties responsible for the August 21, 2013 chemical massacre in Syria. For that reason there are many calling for an investigation into who was behind the attacks. The United States administration of Barack Obama claims that there is no doubt that the regime of Bashar al-Assad committed the massacre. Bashar al-Assad claims there is no evidence to prove the Obama administration’s claim, and that the rebels committed the massacre to bring foreign military intervention. Without a doubt the world/humanity absolutely must know the truth. To unleash cruise missiles and military intervention on a sovereign nation and people, based on false arguments, is documented in countless books and writings. All one need do to make this point is mention “Colin Powell at United Nations” and all listeners are fully aware of lies told to begin wars-wars which can only be described as literal hell on Earth. Those who have researched the present situation in Syria through reading hundreds of articles have seen the listings of history’s “false flags” time and time and time again. For false flags events have occurred through history time… and time… and time… again. This is why I am urging every man and woman who reads these words to take any and all action humanly possible to bring about the investigation at the International Criminal Court. The Obama administration should embrace the sentiments of Vladimir Putin and agree to submit their evidence to the ICC. If their claim, that the regime of Bashar al-Assad committed the massacre, is solid, there can be no reasonable argument given by the Obama administration against the highest level of investigation. The United Nations General Assembly is gathering in New York this week. Syria will be a major topic of discussions and meetings and speeches. Whether you live in the United States, Syria, Canada, Brazil, Russia, Israel, Equador, France, Britain or any country on Earth: Contact any man or woman in your country who has any influence in advocating for-can take actions which will bring about-the International Criminal Court’s investigation of the August 21, 2013 chemical attacks in Syria. What will come from the investigation? Evidence will point to the Assad regime’s responsibility, increasing the possibility of military action by the United States and its allies. Consequences of this possible outcome include determining the best actions to take to bring those responsible to justice, appropriate punishment (life in prison or death penalty), weighing the costs of available options as they affect the situations/lives of the Syrian people etc. Evidence will point to the rebels’ responsibility, marking possibly the first time in history that a war was prevented by discovery of a “false flag” operation before military operations began. Consequences of this possible outcome include determining who was responsible for creating the plan for such a “false flag”, ascertaining the appropriate punishment (life in prison or death penalty), and weighing the costs to the Syrian people associated with each option. Evidence will be inconclusive-it will be impossible to determine who carried out the massacre. The finest minds from the fields of law enforcement, military and science must be called upon to solve this, the most important unsolved crime on Earth, as soon as humanly possible. I would urge that the proceedings, testimonies and presentations of any and all evidence be available to view, either live on cable television and/or the internet, by as great a percentage of the human race as possible. Why? Because the human race absolutely must know. Please take any and all actions that your God-given reason, intellect, creativity, ability, and intuition allows to bring about the investigation by the International Criminal Court into the August 21, 2013 chemical attacks in Syria. It does not matter what country or region of the Earth you are in. You are a member of the human family with no lesser value than any fellow member, including Barack Obama, Vladimir Putin, Bashar al-Assad or the Pope. Your action(s) at this most important time in history can and will make all the difference. 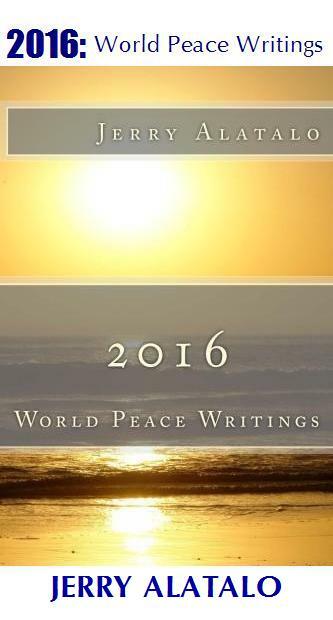 You are the difference between war and peace on Earth.